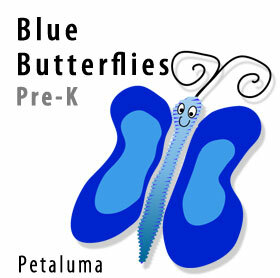 Learning to Learn has two Pre-Kindergarten groups: The Yellow Bears and Blue Butterflies. Each group consists of up to 24 children and 2 teachers. The children and teachers move throughout the school as a group, participating in activities in four basic areas: the Art Room, the Movement Room/Playground, the Readiness Room, and the Library. All areas offer a developmentally appropriate curriculum using a fun, hands-on approach. Our pre-K program has an excellent reputation among the areas elementary schools for preparing your child for kindergarten and beyond. This is due to our strong emphasis on early literacy, math and by focusing on the whole child, both socially and emotionally. Four and five year olds want to know the how’s and why’s. They are truly becoming more independent in their ways of thinking. Our well-trained staff can offer guidance, while allowing learning and discovery to occur for every child regardless of their individual learning styles. Children will be introduced to the alphabet and phonics through our letter and sound of the week program. Writing is strongly encouraged as is sounding out simple words. Many children will be “ready to read” or reading upon completion of our pre-K program. With this strong foundation, we are confident that your child will continue to love learning and their school experience throughout the years. 6:30am – 8:00 am Good Morning! Please bring your child to the Art Room. Our early morning children have breakfast up until 7:30 am. You may bring your child’s breakfast to eat here. Games. 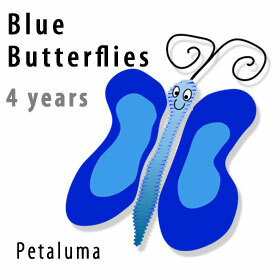 Yellow Bears and Blue Butterflies are combined to play games outside or in the Movement Room. Art Room. We are in the Art Room for theme related art activities. This includes exploration of a wide variety of art materials and cooking projects. Creativity is emphasized. 9:00 – 9:15 am Calendar Time Children learn the days of the week, months of the year, numbers, counting, the weather and what year it is. Movement/Outside Time. We are outside or in the Movement Room. Large motor skills are used during parachute play, musical activities and climbing in the “habitrail.” Group games to improve coordination, balance, and listening skills. Snack Time. Hand-washing, and a healthy snack is provided, usually consisting of a variety of fresh fruit and whole wheat crackers. Readiness Room. Small manipulatives and table toys for fine motor skills, which include; color, shape, number and letter recognition. We introduce simple math and science. Social and language skills, cooperation, and problem solving are also an integral part. Our writing center is always open for the children to work on. Dramatic play is continually changing week to week. Library Time. Group story time and theme related books. Group discussions with books to share and read individually, and sharing on the 5th and 20th of each month. Lunch Time. Children will get their lunchboxes after they have washed their hands. After children are finished eating, they may play on the playground. 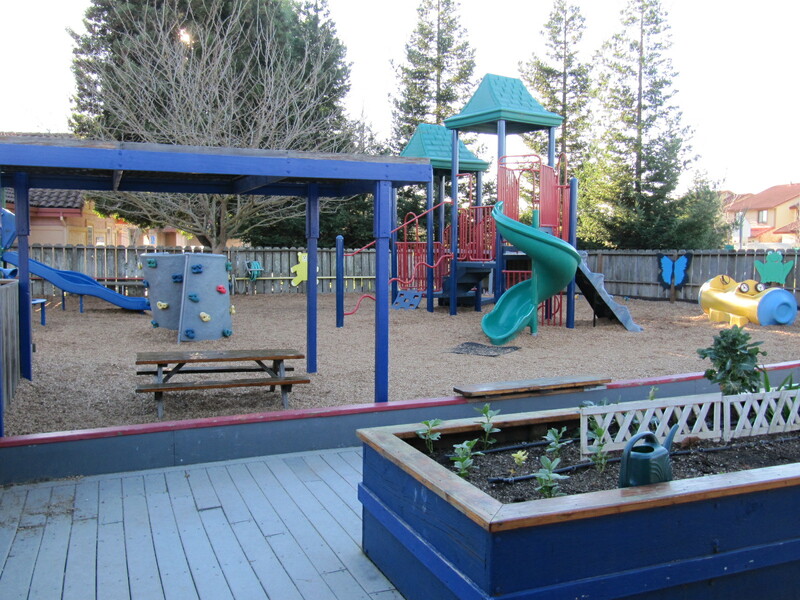 12:15 – 12:50 pm Pre-K children play outside on the playground (weather permitting). 12:50 pm Potty Time Children get ready for nap. 1:00 – 2:15 pm Rest Time All children staying all day have naptime. This is started out with soft music or a story. 2:15 – 2:30 pm Wake up Children are slowly awakened. Once up, the children may play outside or in the Art Room for more activities. 3:00 – 3:15 pm Afternoon Snack Children are served a healthy snack everyday. The snack menu is posted on the parent bulletin board near the entrance. 3:15 – 4:30 pm Afternoon Activites includes time in the Readiness Room, Art, Dramatic Play, Movement Room and more outdoor time (if weather permits). 4:30 pm Potty and Hand Washing and Late Snack Children are encouraged to finish up any leftover items in their lunchboxes. Parents should supply a little extra food in their child is here at this time. 5:00 – 6:00 pm Readiness Room All remaining children combine for some quiet table activities or stories in the Library. During this time , they can also gather their belongings and play in small groups while waiting to be picked up. We now except all major Credit Cards, Debit Cards, Recurring Payments and of course Checks or Cash. See the office if you would like more information about any of these forms of payment. PLEASE REMEMBER TO SIGN YOUR CHILD IN AND OUT EVERYDAY THEY ATTEND OUR CENTER. THIS IS SO IMPORTANT ESPECIALLY IN EMERGENCIES, SO WE HAVE AN ACCURATE COUNT.